November 2011. Bamako “la coquette” is changing fast. 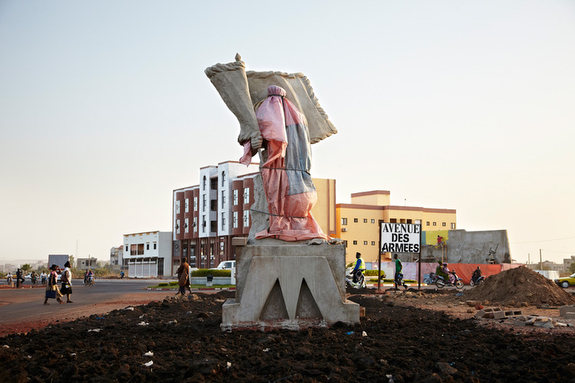 The works in progress create the new image of the Malian capital. 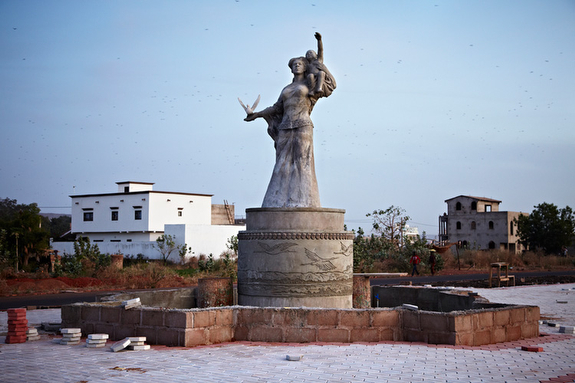 In the Sotuba area, near the “sino-malian friendship bridge,” Korean artisans build monuments over hundreds of meters, to commemorate the glory of the veterans. 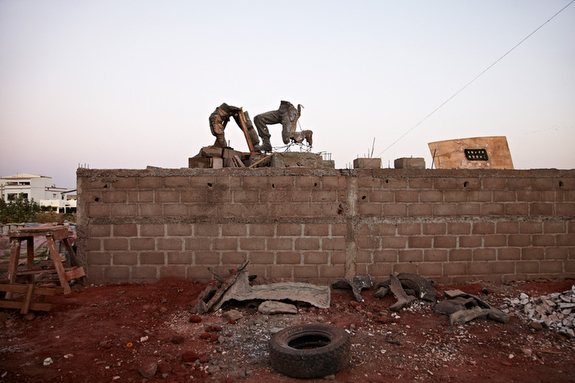 In this area looking as a war theatre, between construction and destruction, the sculptures made in the style of socialist-realist works from North Korea tell us a lot about the concerns of the state. On January 20th, 2012, the Malian army celebrated its 50th anniversary and the officials inaugurated with great pomp the Avenue of the Army with the National Band playing and revived specially for the event. The Avenue of the Army is the symbol of a powerful military force, it is monumental and filled with signs of victory. A paradox at a time when Mali falls into one of its darkest periods in history.